Not simply following the trajectory of Keaton’s real life, writing a veritable biography as a novel, and embellishing certain areas into fictional accounts, Brennan instead uses Keaton as the basis for her own characters, This is about Billy Pascoe, a Keatonesque performer who, like Keaton, grows up working in a family act during the heyday of vaudeville. In 1916, Pascoe leaves the act and ponders a solo career, eventually meeting Lucinda Hart, who just left a family act herself. The two team up, and Brennan’s story examines their relationship at several levels. Not settling for the dull, ordinary trappings of typical romantic conflict, Brennan instead shows how the creative processes of two performers can repel as well as cohesively blend. Billy and Lucinda eventually settle into a comfortable niche that appears to have truly lasting potential. However, the couple finds itself having to delicately balance their personal lives and their professional teaming, causing some level of stress and introspection. While Billy is based on Buster Keaton, this is not a novel about film. Brennan concentrates on the theatre, and despite the influence, her characters are very much of her own creation. This is a work of fiction that has been inspired by an iconic performer about whom Brennan knows a great deal, but it is ultimately her own creative process that is most significant about this novel. 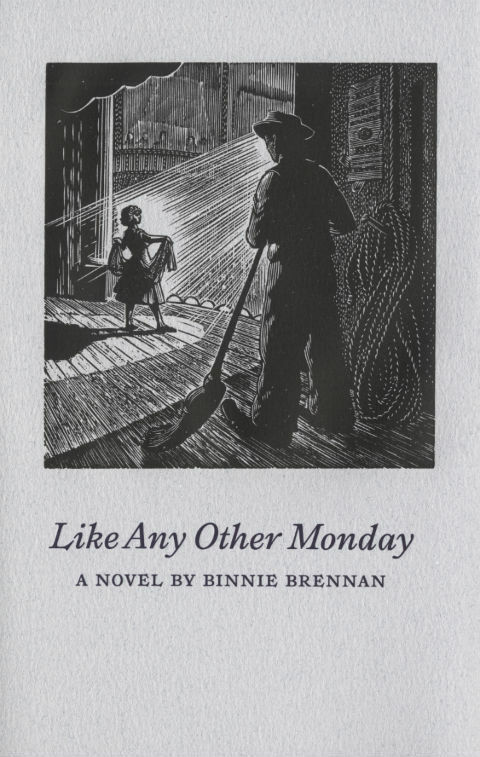 “Like Any Other Monday” is a well written, and compelling novel that has interesting characters, brilliantly vivid settings, a historical perspective, and a fulfilling conclusion. It helps us better understand and appreciate the creative process of not only the stage performers in the book, but of Binnie Brennan’s impressive talents as a novelist with the same ambitious promise as Billy Pascoe. Or Buster Keaton. Tags: Examiner.com book review, James L. Niebaur review, and Like Any Other Monday review.